Waipi‘o (“curved water”) is one of several coastal valleys on the north part of the Hāmākua side of the Island of Hawaiʻi. A black sand beach, three-quarters of a mile long, fronts the valley, the longest on the Big Island. The Hawaiian court was mobile within the districts or kingdom the aliʻi controlled. A paramount’s attendants might consist of as many as 700 to 1000-followers made of kahuna and political advisors (including geologists, architects, seers, messengers, executioner, etc. ); servants which included craftsmen, guards, stewards; relatives and numerous hangers-on (friends, lovers, etc.). The reign of his son Līloa was as peaceful as that of Kiha, his distinguished father (Līloa ruled about the same time that Columbus crossed the Atlantic.) He did not lack ability, either as a civil or military leader. The story of another of Līloa’s sons, ʻUmi, suggests that while Līloa was on a journey across Hāmākua he met a beautiful woman, Akahiakuleana (Akahi.) They spend the night together and conceive a child. Līloa told Akahi that if she has a son, to name him ʻUmi. The March 10, 1899 issue of the Hawaiian Gazette noted that Līloa (1500s,) Lonoikamakahiki (late-1500s) and Alapaʻi (1700s) are among the reburied at Mauna ʻAla. 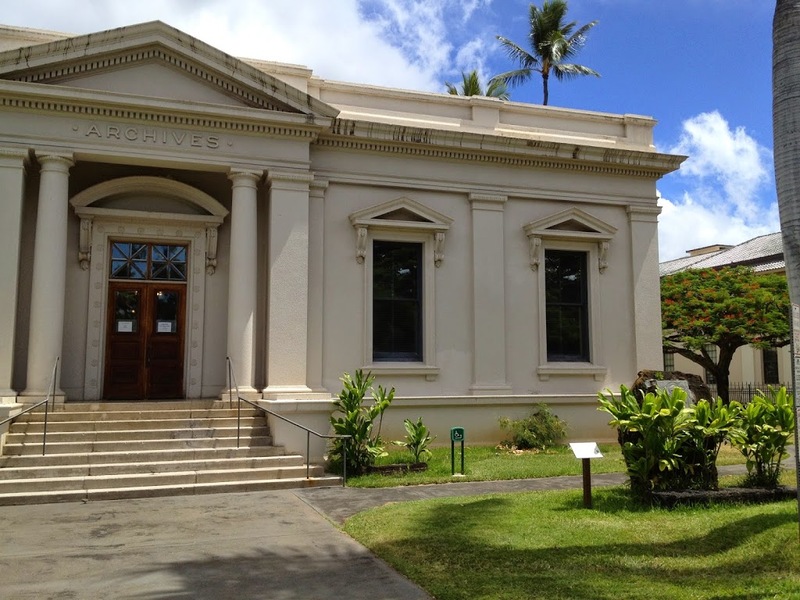 The image shows the Hawaiʻi Archives Building; to the right is Paepae Kapu O Līloa (interestingly situated in front of a plaque to Captain James Cook.) Nearby are Nā Kālai Pōhaku a ʻUmi. In addition, I have added other images in a folder of like name in the Photos section on my Facebook and Google+ pages.